Clean and crisp, yet warm rich lines characterize this traditional English inspired design. The round soft curves present in all elements of the Waverly Suite create a soft environment that invites relaxation. 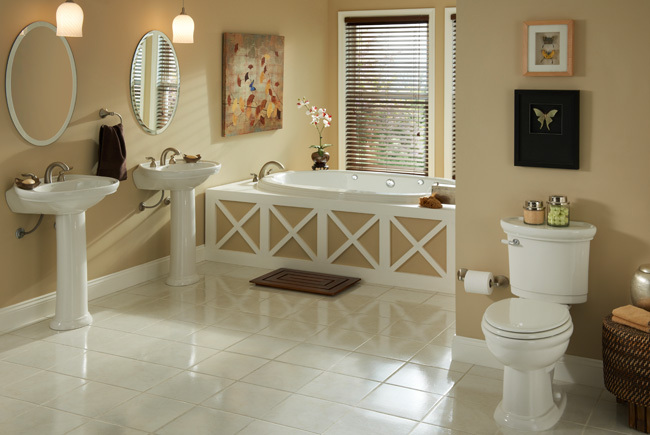 The Waverly Bathroom Suite includes a bathtub, a pedestal or drop-in lavatory, and matching elongated ADA toilet.